Navigating the technology landscape in most industries can sometimes feel like a nightmarish game of mad libs. The jargon can be unending, and, with the pace of technological change accelerating every year, it’s no wonder industries are slow to define and articulate best practices. For commercial real estate, the last 5 years have been transformative as organizations start to move beyond mere efficiency of space and start to consider the bigger picture. Integral to this shift has been the importance of data modeling within commercial real estate organizations. As we talked about in a previous series of blogs, “Digital Twins” are quickly becoming the go-to for creating robust data models about all aspects of a building at various stages of its life cycle. However, astute observers will notice some key similarities between what’s now called a Digital Twin of a built environment and Building Information Modeling (or “BIM”) software. Understandably there has been confusion within the industry about how to differentiate these two important technologies. The confusion in large part comes down to the emphasis of BIM software on physical space represented digitally and Digital Twin’s early definition, a digital replica of a physical object or space. 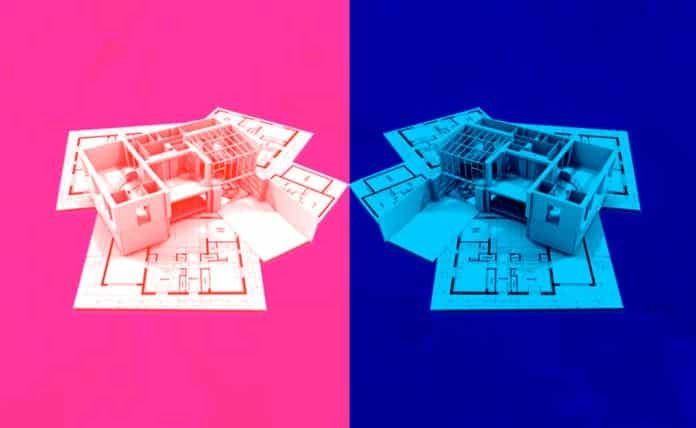 In this article, we’re going to break down the key differences between Digital Twins and BIM. What Is Building Information Modeling (BIM? Let’s start with BIM. Like Digital Twins, it’s been around since the 1970s. It began as many software projects do – through research! Early researchers like Chuck Eastman began using the term “Building Description System” before it became BIM. Also, like Digital Twins, it didn’t hit the mainstream for a few more decades when the likes of Autodesk, Bentley Systems and others began popularizing it in the early 2000s. The primary goal of BIM in its early research days still holds true. The founding fathers of BIM hypothesized that such a system would be important to contractors of large projects for both a visual and quantitative model of the build. They also figured it would be useful for materials ordering and scheduling. The early hypothesis for BIM holds true. Even today, leading providers of BIM software appeal to AECs (architects, engineers and contractors) by explaining the cost-saving benefits of having a central point of building reference in a 3D digital model. This model makes it easier to collaborate and recalibrate design during in-flight projects. Its benefits include lowering the risk of projects through a reduction in errors, better timeline and budget management. It sounds quite comprehensive, similar to the Digital Twin, yet they differ in a few key aspects. BIM is tuned for collaboration and visualization during design and construction, not operations and maintenance. As mentioned above, the intent of BIM is not to create a living breathing model of an operational building but to help architect and construct the building. The focus for BIM software has been to create a collaborative design and build process that visualizes the physical and functional aspects of a building. Visualization in the design and prototyping phase of a new build has been essential for AECs to understand spatial relationships. Unlike a Digital Twin, this physical information model is tuned for buildings in flight, not ones occupied and utilized daily. Digital Twins are quickly being recognized as the most valuable part of a building’s tech stack – it’s a comprehensive picture of your built environment in real-time. A Digital Twin can give you information about the current state of build subsystems, how they’re being impacted by occupant behavior when assets like HVAC or lighting might fail and much more. It’s a model that evolves over time to deliver more value with each new stage of the asset’s lifecycle. BIM is a key data input for any Digital Twin, but BIM alone cannot answer the operational questions facility managers may have about optimizing operations. According to Gartner, the next evolution of the Digital Twin will see use cases moving beyond just assets to include entire organizations or the Digital Twin of an Organization (DTO). This means people, process and behaviors will also be important data sources that give Digital Twins even more context about the built environment. If trends in CRE continue to gravitate towards understanding occupants and competing on workplace experience, the Digital Twin will certainly supersede BIM software even at the design and build phase of an asset’s lifecycle. As we begin to build things with people and flexibility in mind, our building information models will also need to evolve to include behavior patterns of people and space design that accommodates their wellness. Again, BIM alone cannot achieve these outcomes.